If you didn’t think there could be anything more magical than Petra by day, think again. Come and visit Petra by night. If you are in Petra right now, or planning a visit to Petra, I’m sure you’ll be wondering whether or not to visit Petra by Night. 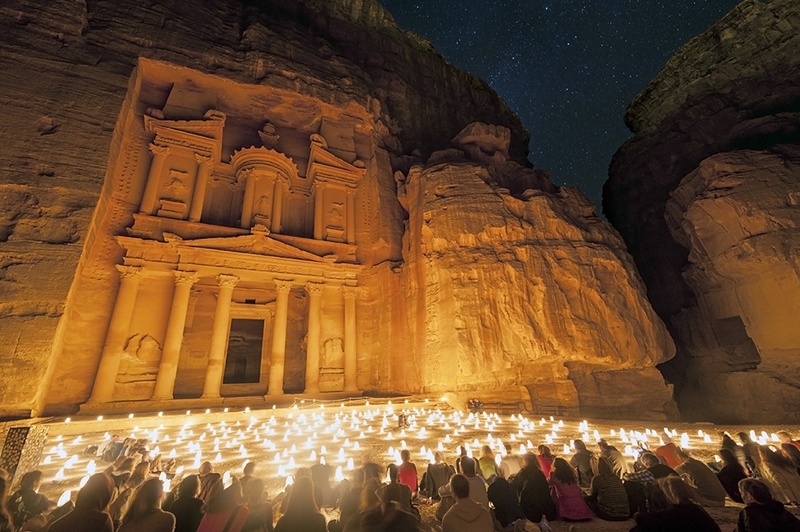 There’s so much to see and do around Petra, and the destination if far from being budget-friendly – so, is Petra by night worth the extra spend? In this article we’ll take you through our experience at Petra by Night, including how much it is, what happens during the event, how to make the most of it and how to take great pictures. After all, I’m sure you would have guessed by now that we loved the experience of Petra by night and we’d recommend it to everyone! Planning to visit Petra? Don’t forget to read our Practical Tips for Petra post! On the way to Petra by night – can you see the Treasury? Accommodation for Petra is in Wadi Musa, the closest town. Here are some hotels not too far from the entrance, ideal if you want to explore Petra by Night! Mövenpick Resort Petra – located right by the Petra entrance and probably the best place to stay for Petra by Night! Petra Sella Hotel – a good value locally-owned hotel only 5 minutes by taxi to Petra. Mövenpick Nabatean Castle Hotel – 10 minutes drive from Petra, with spectacular views over the Great Rift Valley. Tetra Tree Hotel – a recently-opened modern hotel with great views over the city. Petra Marriott Hotel – luxury property in Wadi Musa with top facilities and mountain views. 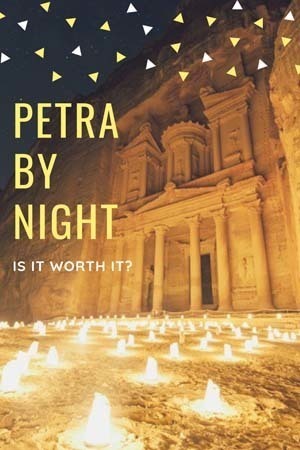 How Much is Petra by Night? Petra by night is not included in your general Petra admission – you’ll have to purchase an extra ticket at the cost of 17 JD (about €21) per person. Petra by night tickets are unlimited and can be purchased from the Visitor Centre, local tour agencies in Petra or at the reception of many hotels. When is Petra by Night? Petra by night takes place three times weekly – every Monday, Wednesday and Thursday, from 8.30 to 10.30 pm. The experience starts and ends at the Petra Visitor Centre and you’ll be accompanied by a licensed tour guide. We’ve decided to do this differently – first, we tell you some factual info about what happens during Petra by Night, and then we’ll share a brief story we wrote detailing our thoughts and feelings after the event. After being picked up at the Petra ticket office, you’ll be taken along the Siq all the way to the Treasury. Please bear in mind that the distance between the entrance and the Treasury is about 2 km, and you’ll be walking in the darkness for about half an hour, as the path is illuminated only by candles. It’s a completely different experience from visiting Petra during the day – there are no horses and carts crossing the Siq, no big tourist groups and no guides giving explanations. Petra by Night guides pretty much only have the duty to lead you to the Treasury and back, considering the relative darkness. The night walk across the Siq was actually, in our opinion, one of the best things about the whole Petra by Night experience – you’ll be in almost complete silence, with no other sound besides your footsteps. Once you reach the Treasury, also lit up by a carpet of candles and fairy lights, you’ll be asked to sit down, and then the ‘real’ show begins. First, a musician plays the rababa, an ancient flute-like instrument, and then a Bedouin guide will share with you a story about Petra. The entire Petra by Night show takes approximately 30 minutes, until it’s time to head back to the visitor centre via the Siq again. 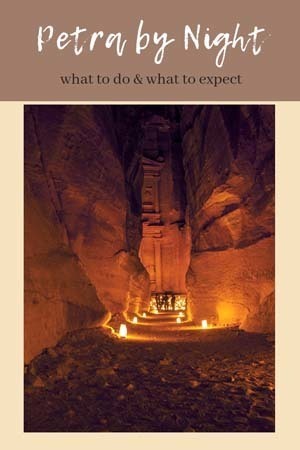 Are you going to explore Jordan? Don’t miss Aqaba – check out 10 Reasons to Visit Aqaba post to learn why! We were late. We turned up at the gate, but everyone had left. Ahead of us, the way to the Siq was pitch black. Behind, the gaudy lights of souvenir shops gave out a visible haze. I was tempted to run, not wanting to miss the show. 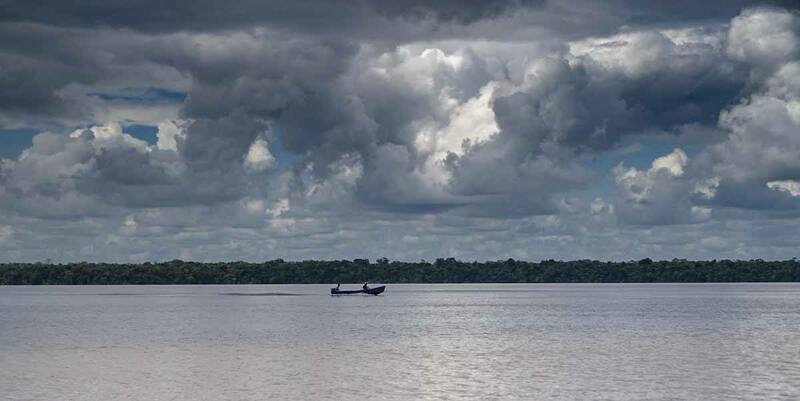 At the same time, it was too quiet, too peaceful, too mysterious to miss. My eyes got used to the darkness, and as we progressed slowly down Bab ul Siq I could make out the shapes of rocks and temples around us. There were no horses, or Bedouins, or visitors at that time of night. A shape moved quickly between the columns on the façade of the Obelisk Tomb. Whether it was man or animal, I do not know. I walked on, making for the twinkling lights ahead. The Siq. 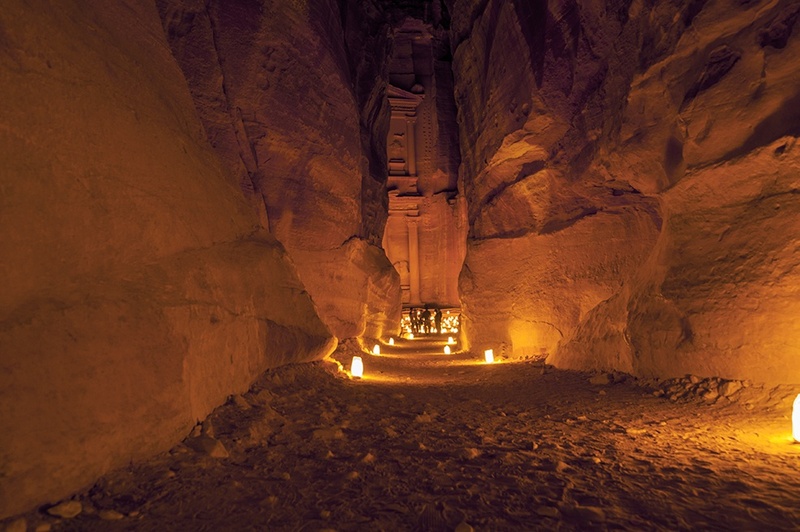 The narrow canyon that concealed Petra from the outside world for thousands of years was lined with fairy lights, thousands of lights stretching for two kilometres all the way to the Treasury. There were no electrical lights; only tiny, flickering candles showed us the way. Time passed, my eyes got used to the mellow orange light, that made the rocks look eternal, enveloping and everlasting. I had forgotten where I was. A distant melody played, plaintive and magical, like the spell from an ancient oracle. I felt myself drawn to it. I wanted to move on, to get to the music. I looked up for an instant to the sky pierced by a million stars, the Milky Way visible like a plume of solid smoke. This is how it must have been like to reach the great Petra of the Nabateans. For a moment, I was a trader, I had crossed the Arabian desert with a caravan of a thousand camels, laden with gifts for the great Nabatean king. I was tired and dirty, fatigued by months of travelling the desert, my skin cracked by the desert wind. All of a sudden, the canyon opened on a wider expanse. Candles burned on the pavement, people sat in a circle around a lone musician, playing a sad but bewitching melody on the rababa. Behind him was the Treasury, imposing in the sculpted rockface, maroon and purple with star and candle light. He told us a story, and the sound of his voice lulled me to sleep. I so longed to be able to sleep on the carpet of a Bedouin tent, or on the floor of a cave. I laid on the ground, and fell asleep with the stars in my eyes. Is Petra by night worth it? Hell yeah! Looking for off the beaten track locations in Jordan? Check our post about Shobak Castle! In my opinion, yes. Totally. DO IT! Petra by Night was a stunning, dreamy experience, and even the extra 17 JD didn’t seem like much, since you get to have a completely different view of Petra compared to visiting during the day. 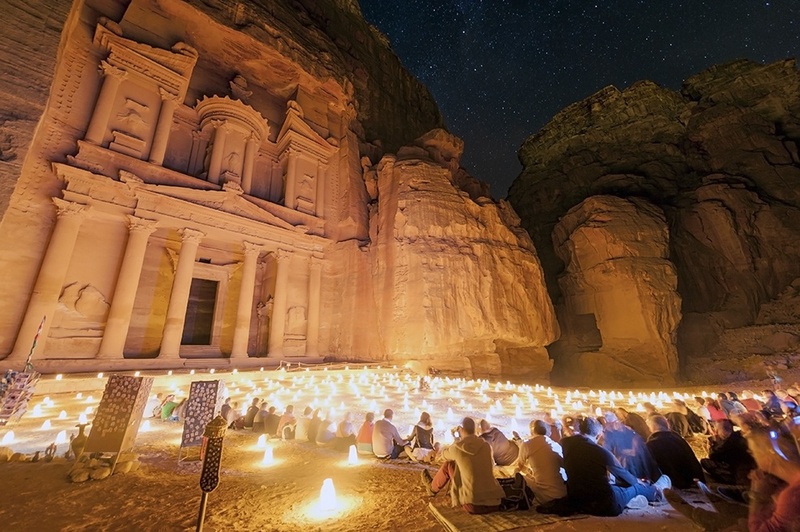 However, we would not recommend doing Petra by Night as soon as you get to Petra. 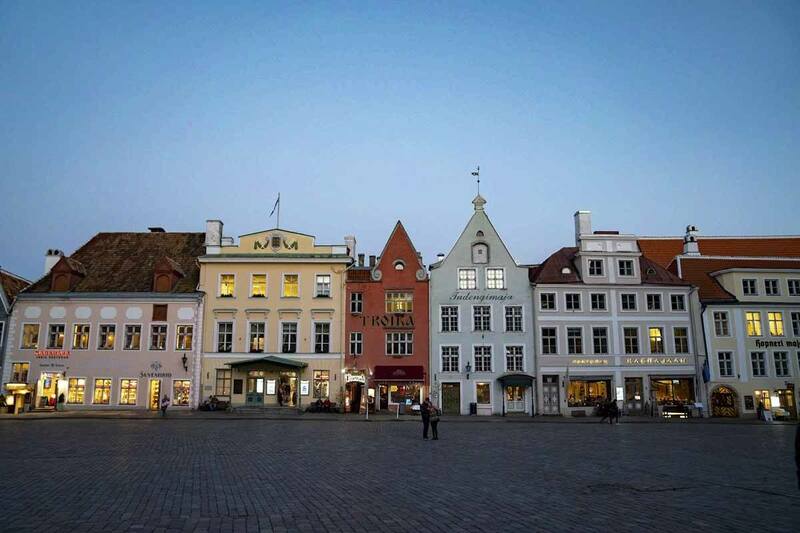 It’s much better to visit during the day first, and then at night. Many travellers report being disappointed by getting their first view of the Treasury by candle light, since it’s still quite dark and hard to see. Seeing the Treasury appear from the Siq is the highlight of any visit to Petra, and you want to enjoy that during the daytime – preferably as soon as it opens, when it’s not yet overrun with tour groups. So, make sure you plan accordingly and don’t forget that Petra by Night only takes place on Monday, Wednesday and Friday! It’s not easy to take pictures of Petra by Night unless you’re a good photographer and have a decent camera – most smartphones will be pretty much useless. The best bet is using a high-end DSLR or mirrorless that can support using a high ISO without compromising on quality, and a good quality lens. You are allowed to take a tripod, but please be mindful of other people and don’t start moving about when the show is on. You are only allowed to use a flash for a short time, but we didn’t find flashes to be beneficial as they lit up the Treasury too much, taking away from the dreamy feel of candle light. It’s also worth using silent mode if your camera has it, to prevent disturbing other visitors. Show time is ideal to take pictures, since everyone is sitting down, and the carpet of fairy lights right opposite the Treasury makes for the perfect foreground. After the show most people walk around the candles taking close-ups and selfies, but everyone is asked to vacate by 10 pm, so bear that in mind when planning your time to shoot Petra by Night. Very enchanting set of pictures. I visited Petra during the day, wish I had revisited at night, too! Those stars are awesome! 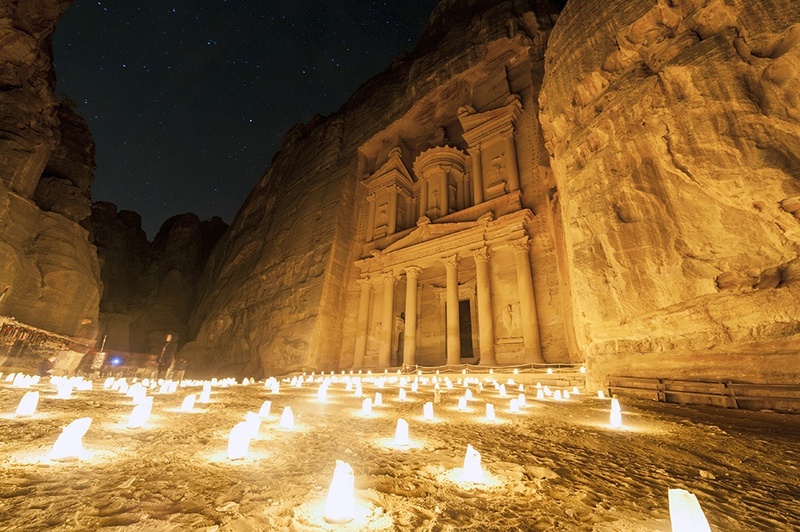 I’ve never seen Petra at night and this post just makes me want to visit that much more! 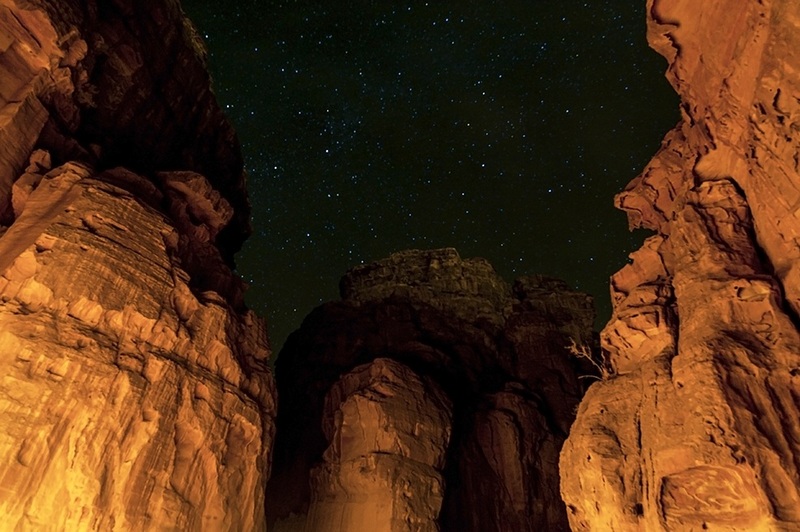 Awesome pics…especially considering that the lighting in Petra at night is really really low! Petra during the day totally mesmerized. We were there early, abt 7 am and pretty much had the place to ourselves!